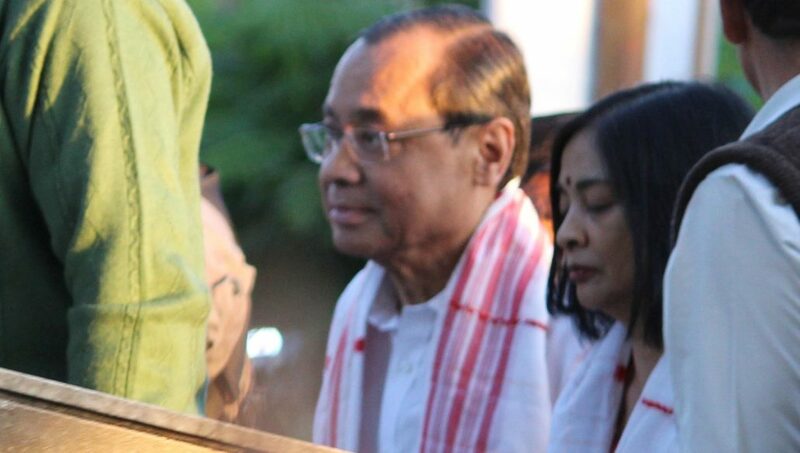 Assam son of the soil Chief Justice of India (CJI) Ranjan Gogoi on Sunday said that pending of cases and lack of judges are providing the biggest challenges for the judiciary in the modern times. While laying the foundation stone for the Andhra Pradesh High Court complex, Gogoi informed that there are three crore pending cases which is quite alarming, according to reports. He also said that there are almost 81 lakh cases that are one-year-old so they cannot be called pending and around 50 lakh cases are petty cases. According to reports, the CJI said that there are 25 lakh cases that are 10-years-old which is rather alarming and asked the judges to work sincerely so that the ‘black spot’ from the judiciary is removed as soon as possible. Gogoi also said that there are 5000 vacant posts of judges in district courts. “There are 392 vacancies in High Courts but for 272 positions no recommendations have been received yet. So I appeal to Chief Justices of the states to send recommendations. 130 appointments are in the pipeline,” he added. He also added that irrespective of the type of courts, justice is always served according to the principles of morality entwined with the law. The CJI further informed that everything is judged and tested according to moral principles. He also stated that as judges, they don’t allow their individual notions to affect their judgement and decision-making process. He further added that the judges are always guided by constitutional morality and they fully rely on it while making a judgement. Earlier, the CJI laid the foundation stone for a high court building in Nelapadu in Amaravati capital region where a Justice City will be developed.